How do we reduce the prejudices associated with them? Learn more about how mental illness can shape people’s lives during Community in Unity, Alaska Public Media’s community dialogue series. 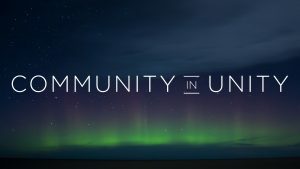 Community in Unity: Experiencing Mental Illness was recorded on Feb. 16, 2017, at the Alaska Public Media Studios in Anchorage. Members of the small group conversation reflected on their personal experiences with mental illness. Questions? Want to hear about future events? Email communityinunity@alaskapublic.org.